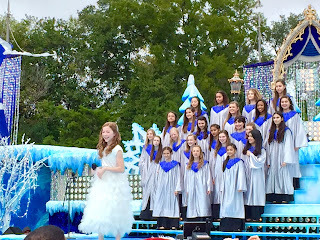 Each year, Disney airs a special featuring a parade and celebrity performances on Christmas morning. It includes both Walt Disney World and Disneyland, and it is seen by millions of people. However, it is recorded weeks before Christmas over a period of several days. 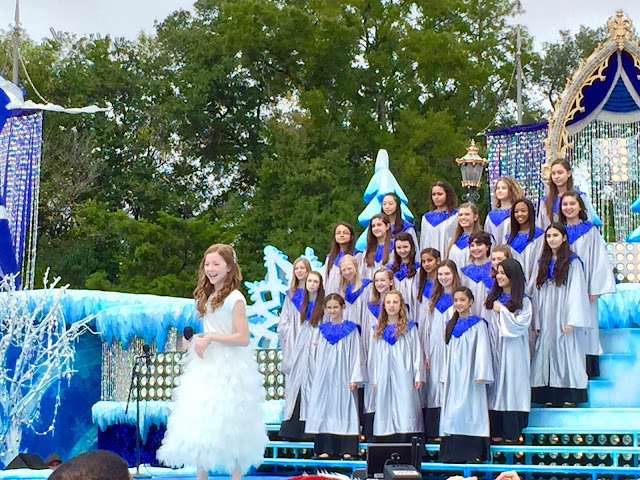 This year's version was called "Frozen Christmas Celebration." I was at Magic Kingdom for the taping of several performances in front of Cinderella Castle. This is a shot taken during Lexi Walker's rendition of Let It Go. She is a 12 year old YouTube sensation who has appeared on America's Got Talent.